Most jobs/internships have a dress code of business casual but what exactly is business casual. The difficulty with business casual attire is many places define it differently. For some places business casual is suits but in other places its khakis and button downs. On your first day I recommend dressing professional. My rule of thumb is “better to overdress than under dress.” During you first day look at what other people are wearing to figure out how the general dress code and you can adjust your wardrobe accordingly. For me I’m terrified of one day becoming one of those people who lose their style in the attempt to be professional. Luckily, I’ve discovered you can still look professional and appropriate while keeping your style. 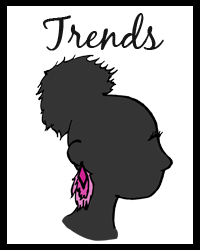 Look for stores that make fashion forward business attire such as ASOS or Express. ASOS creates amazing pieces that are both business appropriate and extremely stylish. Here are a few ways you can put style into business casual. Add a Pop of Color: One way to mix up business casual is investing in colorful tops and blouses. You can easily change a business casual outfit from boring to stylish with a simple dab of color. Be careful when choosing colors you want colors that aren’t too bright (common knowledge but avoid neon). Warning: Make sure your tops aren’t low cut or showing off any cleavage. 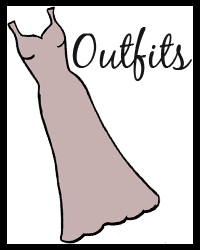 Don’t Forget Dresses: When we think business casual we usually think pantsuits or skirt suits but we tend to leave out dresses. Invest in stylish work dresses to add femininity to your business wardrobe. Warning: Make sure to get an appropriate length. 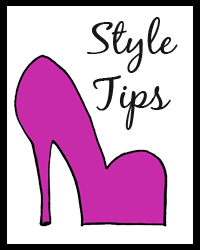 Keep your dress an inch or two above the knees and avoid sleeveless dress. If you do have a sleeveless dress then pair it with a blazer or sweater to cover your shoulders. Invest in Updated Blazers: The key to not looking frumpy in business casual attire is investing in fitted blazers (even if this means paying a little more or paying to get them tailored.) Find unique blazers to add personality to an outfit. Such as a blazer with ruffle trim or a blazer with lace overlay. You still look professional without looking boring. Shoes Can Make An Outfit: We tend to forget how incredibly amazing shoes are. They can change the feel of any outfit. Invest in one-of-a-kind shoe to add pizzazz to your ordinary business casual attire. Warning: Be careful to pick shoes with a modest heel height. Keep you 6 inch stilettos for the club. This entry was posted in Style Tips and tagged ASOS, ASOS work dresses, business casual style, making work attire fashionable, tips for buisness casual, tips for stylish business casual, work dresses. Bookmark the permalink. Love the blue dress, in fact I would pick all of these for work looks! The blue dress is one of my favorites. It’s a great color for summer! Love your inspirations for summer internships and jobs. I definitely had a paid internship every summer in college, that I only saw my family for about a week every summer! But it’s because of those internships that I have the job with the company that I have now! So it’s great even if you don’t get that summer you wait for! Keep up with the blog! Get Email updates! All artwork is original artwork by Taylor Evans and property of Fashion Without Borders.